Of the thousands of species of grass, there are really only two types of Bermuda: the kind you intentionally grow in your yard and the annoying weed that's invading, say, a lush landscape of St. Augustine. There is no shortage of weed control products on the market; however, the best weed killer for Bermuda grass really depends on a number of other factors at work. Before looking at weed killers, you're better off examining the source of the Bermuda grass and considering the conditions under which it thrives. First, know that it grows best in direct sunlight—admittedly not the most ideal situation for Arizona homeowners. Increase shade by adjusting your mower's height to at least three inches so that taller blades can shade low-growing Bermuda. As St. Augustine is very tolerant of shade, covering certain problem areas of your lawn with a canopy or umbrella is also advisable while tackling a weed takeover. Additionally, avoid fertilizing your lawn during summer months as Bermuda grass grows more abundantly when fertilized compared to other lawn grasses. Most importantly, attention to caring for your St. Augustine is, indirectly, the best weed killer for Bermuda grass. 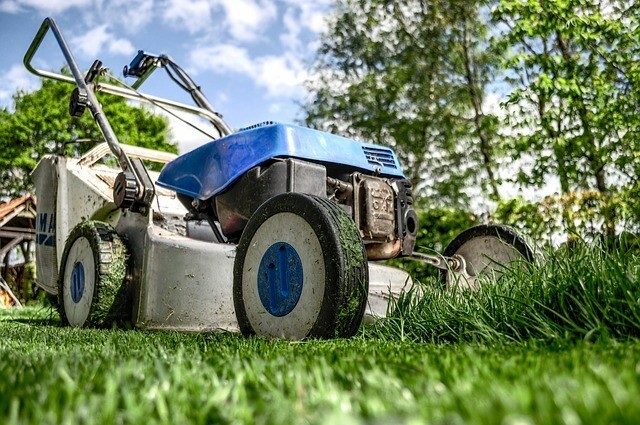 In other words, a healthy lawn will do most of the work for you as long as you water weekly, avoid heavy foot traffic when possible, mow regularly, and pay careful attention to chinch bugs - the enemy to St. Augustine. If regular maintenance isn't doing the trick, you'll do well to purchase an herbicide specific to Bermuda growth such as Turflon Ester or Acclaim Extra. However, even the best weed killer for Bermuda grass won't be effective unless applied when the blades are active, not dormant. Avoid non-selective herbicides, such as Roundup, which kill any plant it contacts and necessitate a complete resodding of your lawn. "Weed &: Feed" products are detrimental to St. Augustine proving how crucial it is to have an understanding of how specific weed killers interact with your preferred grass. A homemade vinegar mixture, although a non-selective solution, is a safe, natural method for Bermuda overgrowth. Regardless of the exact recipe you choose, of which there are many, the best approach is to test a small patch of grass in the yard to see how it reacts. There are also other labor intensive processes such as digging and covering Bermuda grass using various methods recommended by professionals. Finding the best weed killer for Bermuda grass entails more than just a trip to the lawn care section of Home Depot. You must first understand how and from where it grows, conditions under which it flourishes, and how to keep your preferred grass healthy as critical line of defense. Attack problem areas early to protect the beautiful lawn for which St. Augustine allows. Weeds are a nuisance under any circumstance, but when dealing with fast-growing Bermuda, proactivity will crown you the victor.